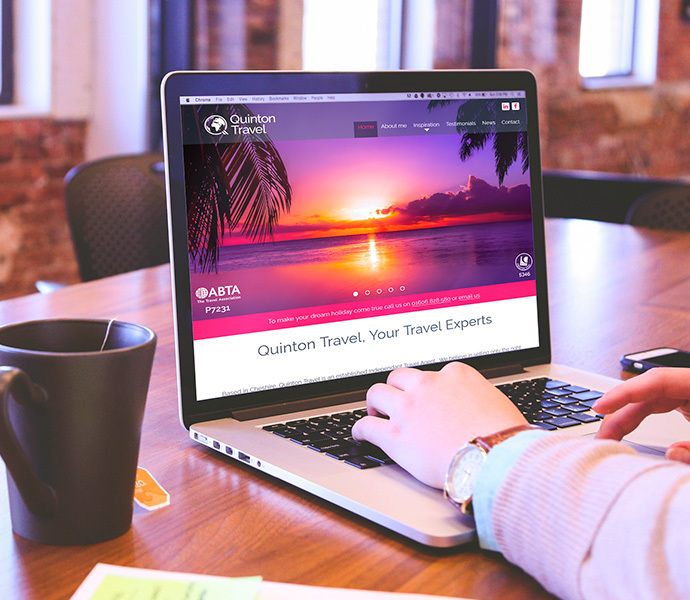 This travel website was designed by Dave Vickers from DesignCoUk for Rachael Quinton when she took the brave step to set up her own Travel Agent. Rachael has been in the travel industry for nearly 20 years so it is not surprise that she is on track to turn over nearly £1m in her first year of trading. This amazing start has meant taking on more travel advisors to help her. 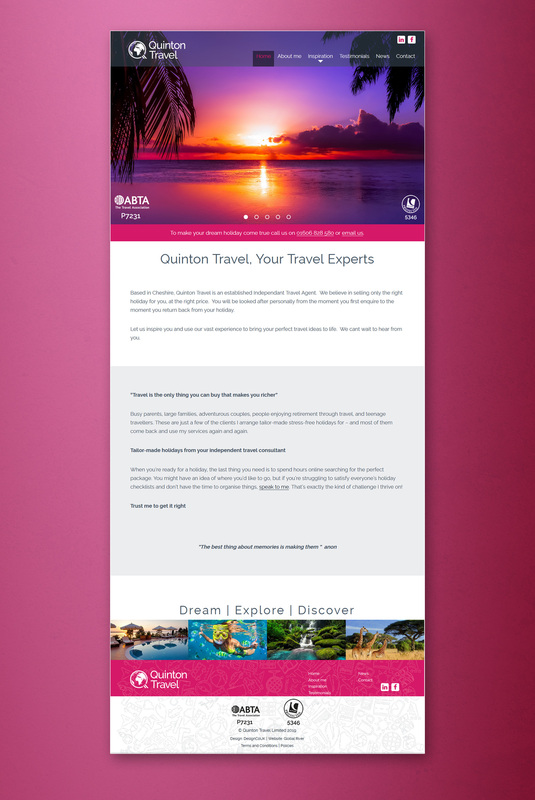 As she would like all of her growing team to be as independent as possible we created copies of Rachael’s website for each new team member and put the copy at a sub domain of www.quintontravel.co.uk (watch this space) containing their name. They have full access to their sites and can edit the content, start their own Blogs and add their own testimonials. Three Travel websites for (nearly) the price of One!